Although called 'United Church Dorchester', we see the role of the church extending well beyond the walls of the building and out into the wider community - not just in Dorchester, but across the UK and the wider world. For this reason, the church regularly supports a wide range of local, national and worldwide initiatives and charities. These might be one-off events (such as a coffee morning for an appeal) or extended and continuing projects (like the Dorchester Chaplaincy project, supporting workers in all sorts of businesses across the town). Each year, the church designates a single charity as a 'World Church Project': it is Mission Aviation Fellowship for 2019. In many countries of the world people have few skills, little education and no means of earning a living. A switch from aid-dependency to self-sufficiency is impossible without help. TWAM (Tools with a Mission) started over 25 years ago, and has since then given this help by collecting and refurbishing tools and equipment no longer required in the UK and sending them overseas. Fairtrade is a global movement with a strong and active presence in the UK, represented by the Fairtrade Foundation. It is a movement for change that works directly with businesses, consumers and campaigners to make trade deliver for farmers and workers. 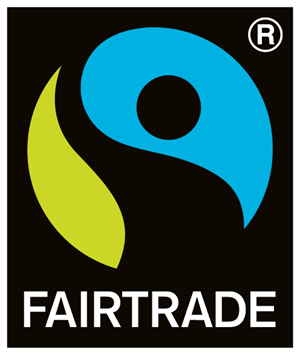 The international Fairtrade system (which the Fairtrade Foundation is a part of) represents the world's largest and most recognised fair trade system. The United Church has a long-standing commitment to Fair Trade. In 2004 a group successfully put together a bid for Dorchester to become Dorset’s first Fair Trade Town. We continue to raise awareness of the importance of Fair Trade through sales in our church shop and by maintaining a presence at other events in the town. Christian Aid as originally founded by British and Irish churches to help refugees following the Second World War. For more than 70 years, it has provided humanitarian relief and long-term development support for poor communities worldwide, while highlighting suffering, tackling injustice and championing people’s rights. The United Church Dorchester regularly supports campaigns and projects organised both locally and nationally, including the annual Christian Aid Week. Action for Children was first founded by Methodist MinisterThomas Bowman Stephenson. Seeing children living rough under the arches of Waterloo station in London, he decided he had to act. A century and a half later, the spirit of this great founder remains Action for Children's inspiration. As an organisation, it now takes action on behalf of 301,000 children, young people, parents and carers across the UK. Our mission is to do what’s right, do what’s needed, and do what works for children. 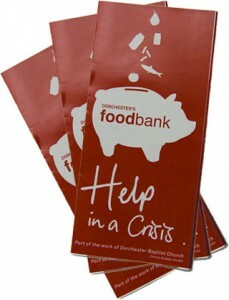 Dorchester Food Bank, based at Dorchester Baptist Church, welcomes donations of in-date foods, including tinned and dried goods, tea, coffee, cereals and breakfast spreads, vegetarian items eg lentils, and toothpaste, soap and toilet rolls. The United Church has two collection points for donated items: in the South Street Foyer and the Shop Foyer. The Dorchester Chaplaincy team offers support and encouragement for shop workers, market traders, shoppers and anybody working in the town of Dorchester. Several members of United Church Dorchester are part of the Chaplaincy team.